There is no question that Sebastian Vettel is a worthy driver’s champion for 2011. He had the best car, but he rarely put a wheel wrong, and so his title is undoubtedly well deserved. I do feel that Sebastian, like Lewis before him, is very much a champion who, although a worthy champion, is still highly dependent on the support of the team for the title, this I would contrast to other champions who really lead their teams to victory. It is the difference between someone who is dependent on the team for their success and someone the team is dependent upon, someone who brings the team up with them. I guess the contrast I would draw would be the difference between Michael Schumacher at Benetton where supported by Flavio Briatore, Ross Brawn and others he achieved two world championships, here he was a champion, but not a leader. In contrast, during Michael’s time at Ferrari he played a very key role in turning round the whole organisation , becoming the catalyst for change and winning the greatest number of championships that have ever been won, Michael grew from being a champion to being a leader. Similarly, I would also put Fernando Alonso in the leader category, he played a key role in the success of Renault in the 2005/6 seasons and has gone on, with a brief blip at McLaren, to do the same at Ferrari. If we look back into previous champions individuals like Ayrton Senna, Alain Prost, Niki Lauda and Jackie Stewart all fit with the leadership role. The interesting question for me is where Jenson Button is on this, in many ways he seems to be stepping up to the leadership role this season, not only through his performance on the track but his demeanour, his confidence, his approach are all suggesting something stronger than a driver who just gets in the car and performs on the track. So the obvious thing for Sebastian to do now, or certainly in a year or two, is to move to a new team that needs a leader and see if he can shift up a gear from being world champion, not easy, but some have done it. Who knows, like Michael at Ferrari, he may even persuade Adrian Newey to come with him. Team orders and World Championship – will McLaren and Red Bull do a Ferrari? First, I must apologise for not posting for a while. I have a few work and family issues on at present, but hope to be back to normal (whatever that means) by December. As Fernando Alonso sailed (almost literally) to victory in Korea last weekend I wondered how the managerial minds at McLaren and Red Bull were now turning to that dreaded subject – team orders. Both Martin Whitmarsh and Christian Horner made much of the distinction between their approach of two drivers who are clearly racing each other as well as everyone else, to that of Ferrari where the focus is on getting Fernando to the top step of the Driver’s World Championship. However that was when Fernando himself was less of a threat, and there were a few more races to go, now the situation is different. There are a maximum of fifty points up for grabs and Fernando leads the championship with 231, followed by Webber with 220, Hamilton with 210, Vettel with 206 and Button, who is the last driver who could mathematically beat Alonso with 189. The view of most commentators is clear, McLaren have to get behind Hamilton and Red Bull have to get behind Webber if they want to win the Driver’s Championship. But will they? If, like Frank Williams, they chose to focus on the constructors’ championship – which after all is the basis on which Bernie’s media spoils are divided up – then Red Bull, with a 27 point lead, already have things pretty much in the bag. The other interesting dynamic at Red Bull is the attention that is paid to Vettel (particularly by Dr Helmut Marko) and his dominant performance in Korea which was undermined by his engine losing the will to rotate in a rather spectacular manner. Do you think they will tell Vettel he is now number two while he still has a mathematical chance of winning the championship? I think not. At McLaren, under Martin Whitmarsh’s rather refreshing and open regime, I suspect it will be down to a good old team chat, and Jenson may well, as he himself has suggested, accept that the title is not within his grasp and fall in behind Lewis, but I suspect it will be down to Jenson to accept this as the way forward, rather than he be told, that isn’t the best way to manage a world champion. So we may have Ferrari and McLaren operating a world champion driver strategy in Brazil, behind Alonso and Hamilton, but Red Bull? I suspect they will stick to the wheel to wheel approach that they’ve held to so far, until it is clear as to who it is they need to focus on, of course by then it may be too late. F1 has found itself in a rather silly situation, in that the rules say that team orders cannot be applied to alter the positions in a race and yet everyone recognises that this is practically impossible to enforce, so it will be interesting to see what the FIA’s World Motorsport Council makes of the goings on at the German Grand Prix this weekend. The current rules were created following the way in which Ferrari applied team orders at the Austrian Grand Prix of 2002. This was in the period when Ferrari were building up to their dominance of F1, with Michael Schumacher winning the drivers’ championship for five successive years between 2000 and 2004. It was clear to most of those following F1 that Ferrari had a clear strategy of focusing all their efforts on securing the drivers’ championship for Schumacher, with the additional driver providing a clear supporting role, however the way in which they secured the win in Austria with the unusually dominant Rubens Barrichello being asked to allow Michael to pass and secure the win resulted in a global outcry that races were being fixed. The notion of team orders is as old as Grand Prix racing and certainly has existed in Formula 1 since it started in 1950, particularly as from 1950 to 1957 there was no constructors championship and so everything was focused on getting one particular driver to become world champion, unless you were Enzo Ferrari of course, when no driver was allowed to become more famous than his cars (although apparently this philosophy has now changed!). Some teams, notably Williams, McLaren and more recently, Red Bull Racing, have been very explicit that they do not have team orders, although there are generally agreements between drivers to avoid situations such as those at the Turkish Grand Prix where Webber and Vettel took each other out of the race, and Button and Hamilton very nearly managed a similar feat a few laps later. I have always regarded F1 as a team, rather than an individual sport, it therefore makes sense for some explicit orders to exist so that the team is maximising its performance. After all the only separation, apart from the drivers’ and their entourages, are the dedicated race engineers, the same mechanics do the pitstop no matter which driver it is, the same people design and build both cars – one team with two players. 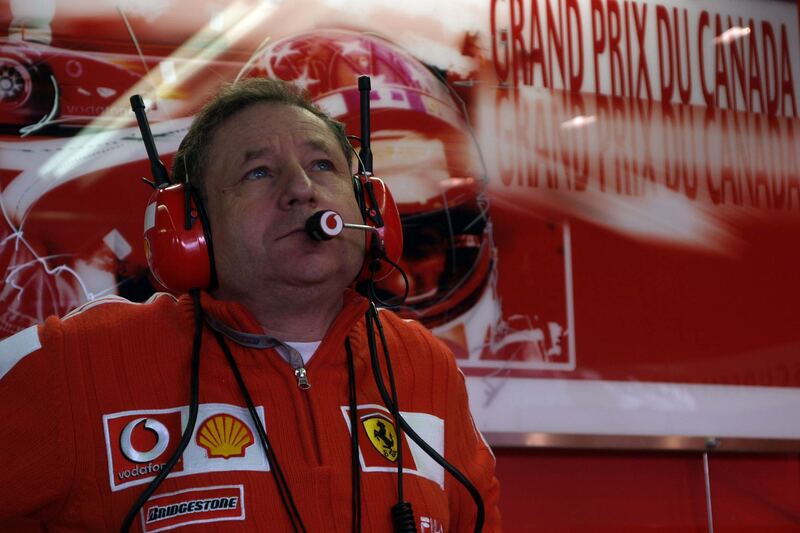 Jean Todt was therefore unrepentant back in 2002, as Ferrari Team Principal, when he received widespread criticism for asking Barrichello to relinquish the lead – it was for the good of the team and that was where his priorities lay. However, lest we forget, F1 is also a spectator sport, and there was no question that Turkey 2010 was one of the most exciting Grand Prix this year because drivers from the same team were genuinely racing each other. So we are left with a typical F1 compromise, no team orders, or rather no team orders that look like team orders. So when Rob Smedley radioed to Massa that ‘Alonso is faster than you, please confirm’ it was clear to anyone with a passing interest in F1 that there was some other meaning here, and when Massa duly let Fernando past it became self-evident what that meaning was. It is interesting to ponder as to the wording on Fernando’s Ferrari contract, given his experiences at McLaren he was probably very keen to get some explicit commitment to number one status at the Scuderia. I’m not a lawyer, but I wonder if a contract (and I clearly have no knowledge as to whether or not this is the case with Alonso) which effectively applies team orders – ie one driver is explicitly given rights over another – is enforceable in a sport where the rules clearly state the opposite? The FIA has a Contracts Recognition Board, designed to arbitrate in contractual disputes between teams, I wonder whether they also need to be vetting contracts to ensure they comply with FIA regulations? Maybe something for the new President of the FIA – Mr Todt – to consider. But I’d like to propose a different solution. I have no problem with Ferrari applying team orders – it is a strategic choice that they have made in how they run the team. I believe each team should make an explicit and verifiable statement to the FIA and the public about their approach to team orders, so Ferrari can stop pretending to be doing one thing while clearly doing another. It might be embarrassing for some number 1 and number 2 drivers, but at least the fans will know where they stand and allegations of race fixing would become a thing of the past, imagine that! Is Force India's talent exodus a sign of on-track success or managerial failings? The news that Force India’s Technical Director – Mark Smith is leaving to go to Lotus, suggests that all is not well at the Silverstone based firm. This comes very quickly after Mark’s predecessor James Key had left to go to Sauber, there are also a number of other Force India staff leaving to join their previous Technical Director – Mike Gascoyne at Lotus. If you add to this the fact that F1’s most experienced Commerical Director, Ian Philips, also left Force India after a rather public disagreement with Vijay Mallay over who talked to the press, it seems like Force India is experiencing a bit of talent exodus. So why could this be? Well typically in F1 a good time to move is when your team is doing well and you can reap the benefit from being associated with a successful team, although Force India are certainly not a front runner they have, over the last couple of years, produced a few surprises with their car and are currently well ahead of Williams in the midfield battle. However such a mass exodus of technical people is unusual and suggests that all may not be well in the management side of things. Talented technical people are motivated by working with other good technical people and being given the freedom to test out theories and ideas. They also look to work with and be managed by those who have a strong technical reputation and thereby benefit in terms of professional kudos. The benefit to Red Bull in hiring Adrian Newey was not just in getting the skills and capabilities of Newey, but the fact that he was there was a powerful signal that said the team plan to invest in technology, furthermore if you come to Red Bull you will be working with one of the all time greats, suddenly Red Bull Racing’s attractiveness to talented technical people went up exponentially, and we are now seeing the results. Ron Dennis was a past master of recruiting the top technical brains (e.g. John Barnard, Gordon Murray, Adrian Newey) and often managing to keep hold of them by allowing them to work on other interesting projects such as Murray’s work on the road car – this way the talent is not lost to the competition. One of the great strengths of Flavio Briatore (and as we know there were also weaknesses) was that he let his technical people do their thing. He gave them the space and resources to get on with the job. He allowed Benetton and then Renault to build up its technical capability and also brought through some great talents, Mike Gascoyne and Mark Smith among them. 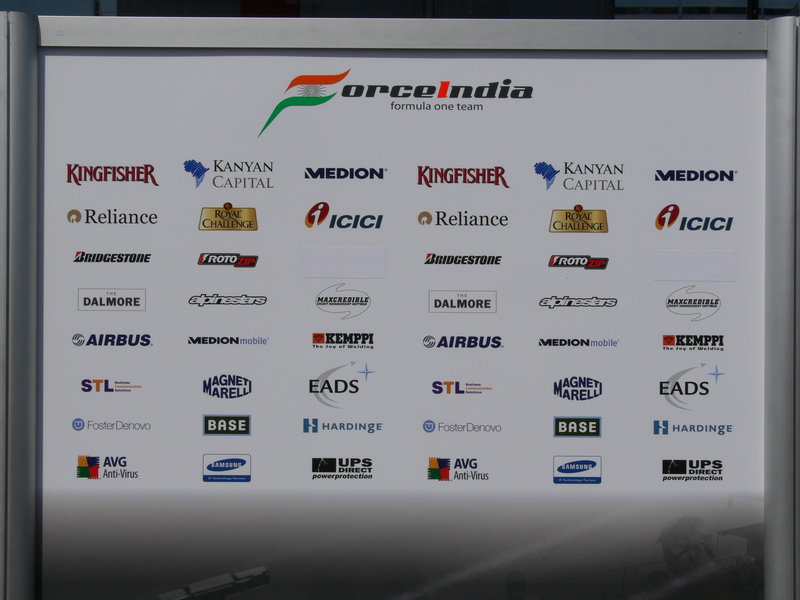 Let’s hope that Force India haven’t lost the plot regarding retaining and developing their technical talent.